There are thousands of SaaS tools on the market, making it increasingly difficult to stand out. With increased competition, teams must constantly ask: what ways are we different, and how can we convert more leads into sales opportunities? To create more sales opportunities, marketing and sales must demonstrate a deep and personalized understanding of their user base. This is not groundbreaking. Most teams recognize the need for customized outreach to generate more opportunities. They rely on tools like Intercom, a customer engagement platform, to filter users on attributes including company size, industry, web visits, and more. These details paint a clearer picture of who users are, what they are doing, and how to best engage with them. 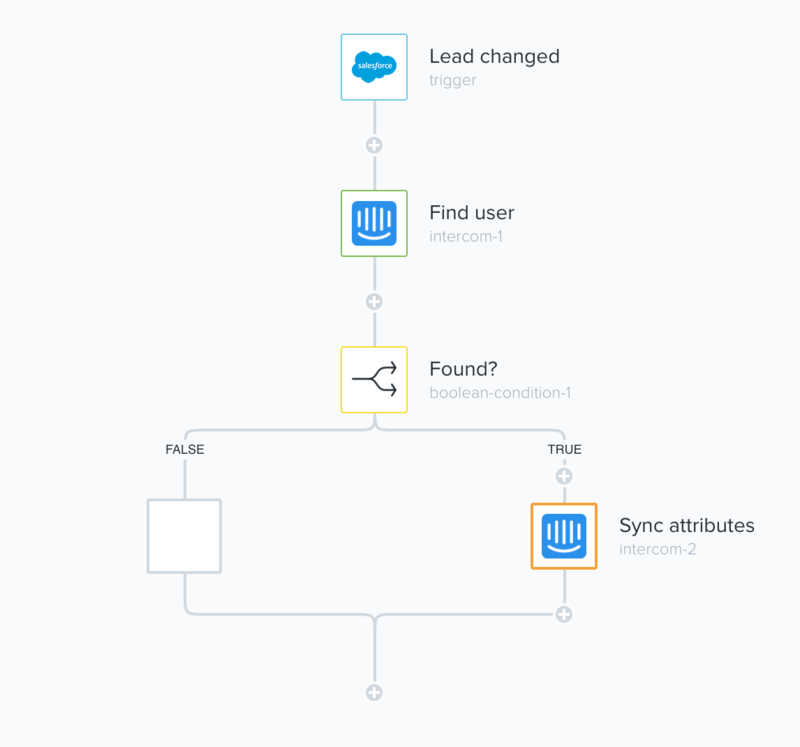 The Tray Platform's Intercom-Salesforce integration allows key pieces of customer data to flow between both tools, ultimately storing all information in one central location. This means better visibility and collaboration across teams, greater enrichment of Intercom users and Salesforce leads, and deeper reporting capabilities in Salesforce. Our Intercom <> Salesforce solution is a bidirectional integration, providing a fuller view of your user base and centralizing your data in one place. To generate more sales-ready leads, sync Intercom “Segments" that fit your qualification criteria into Salesforce so reps can take quicker action. Or, try auto-syncing your Salesforce data back into Intercom so marketing can send more personalized email campaigns. With so many options, this integration offers a flexible solution for both marketing and sales professionals.